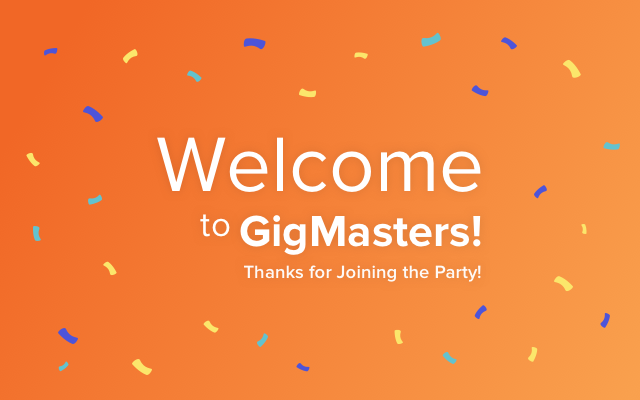 If you’ve just joined GigMasters as a new member, welcome! As you can see, there’s a lot you can do to customize your profile - and we’re here to help! (If you’re not a new member, feel free to take a look and see what you can do to freshen up your profile!). First impressions count! Make sure to start off strong. The beginning of your profile description appears in search results. Your travel radius will be set to the maximum radius of your membership. Set your radius to whichever range is best for your business! Our most successful vendors have an average of 20 on their profile. Your thumbnail image is most important as it appears first and in search results! Vendors with videos get 3x more gigs! Uploading a video can showcase your services and what makes you, you! If you don’t have a video, that’s okay too. Opting in to the most possible and applicable categories for your membership (ranging from 6-18 categories) will get you the most visibility possible! Enroll in GigPay to receive fast and secure online payments from clients. It’s 100% free for our members! You don’t want to miss out on potential gigs. Saved responses help you respond to clients faster! They can be edited right from your Member Control Panel. 1 out of every 3 bookings goes to the vendor who responds first. Never miss a lead by opting in to receive our text message lead alerts. Our iOS and Android app helps you manage your leads on-the-go for free. Stay connected and make sure to download it now! Getting in touch with the client first is so important. Check your average response time from your Dashboard tab and make sure you’re above average! After you respond “yes” to a lead, you’ll receive the client’s contact information. Reach out and let them know why they should book with you! Showcase any packages, services, or promotions you are offering! This adds customization to your profile, as well as a direct lead from the client. Utilize our Search Results Analyzer to track your location, category and booking dollars in comparison with your competitors! Your search result ranking is based on your primary category, location, and booking dollars over the previous 6 months. Make sure to record all your GigMasters bookings, and rise up the rankings! If you have any questions, please contact us at any time! Our Account Services Team would be happy to help. Your success is our success!